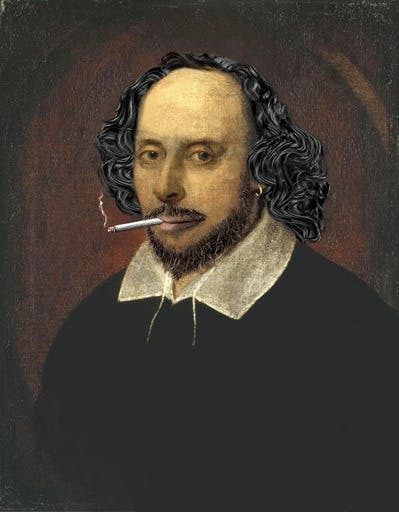 Did William Shakespeare Like To Smoke Weed? See What Research Says! “Doobie, or not doobie?” That is the REAL question. Did William Shakespeare smoke some cannabis before writing some of the greatest plays of all-time? Was William Shakespeare a little baked when he wrote Romeo and Juliet? Or Hamlet? Or Macbeth? Or any of his other classic plays? Maybe that’s why they were so good? According to research conducted by forensic experts from South Africa, it appears that Shakespeare might’ve actually enjoyed the ganja. Who knew! Add that to the growing list of geniuses and successful individuals who used cannabis. Using state-of-the-art forensic technology at the South African Police narcotics laboratory by three scientists, residue from clay pipes that were smoked during Shakespeare’s time (more than 400 years old) were examined. The pipes were excavated from Shakespeare’s garden, and although they are hundreds of years old, the residue was still intact! History is something, huh? It is astonishing some of the things that can be found out about history that we never have known about. Let’s keep the research like this coming along! Who wishes they could’ve smoked a doobie with Shakespeare and watched him write another masterpiece?